Officially licensed by the United States Marine Corps! 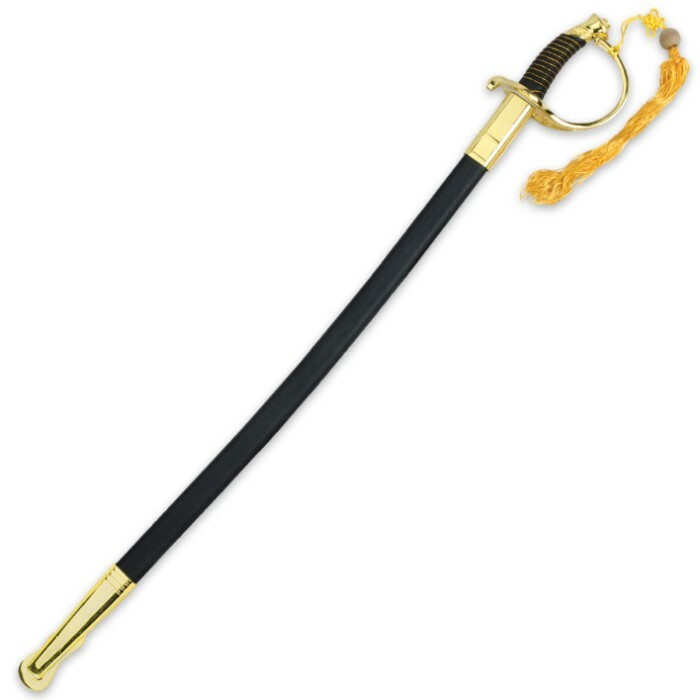 Crafted with careful attention to detail and duty, our USMC NCO Ceremonial Sword is the choice for re-enactments, dress and display. 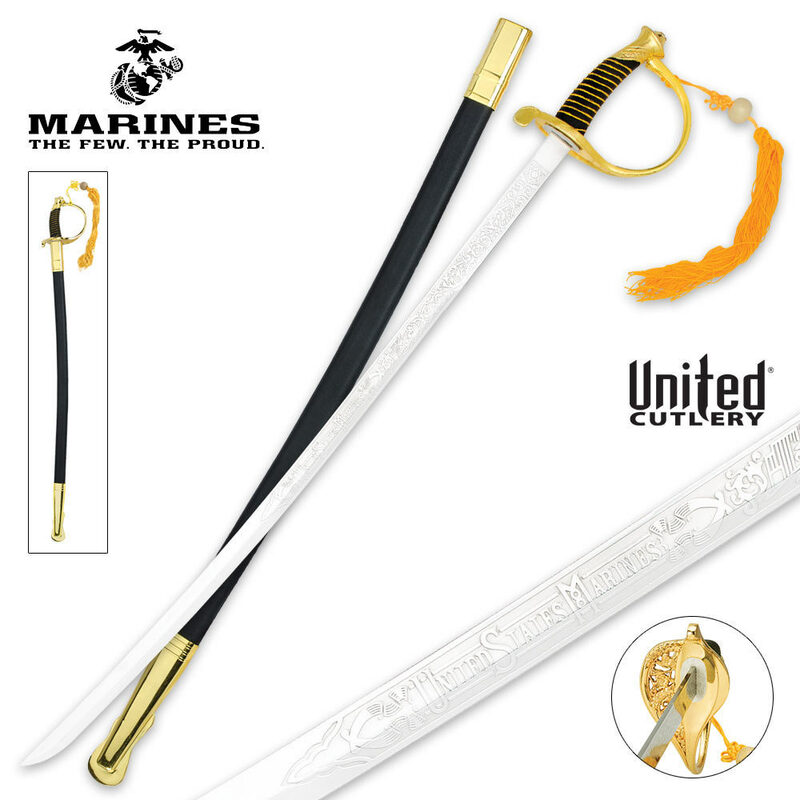 Features include the mirror polished 440 stainless steel blade, ornate "United States Marines" etching, wire wrapped handle, and brass plated handle and scabbard accents. 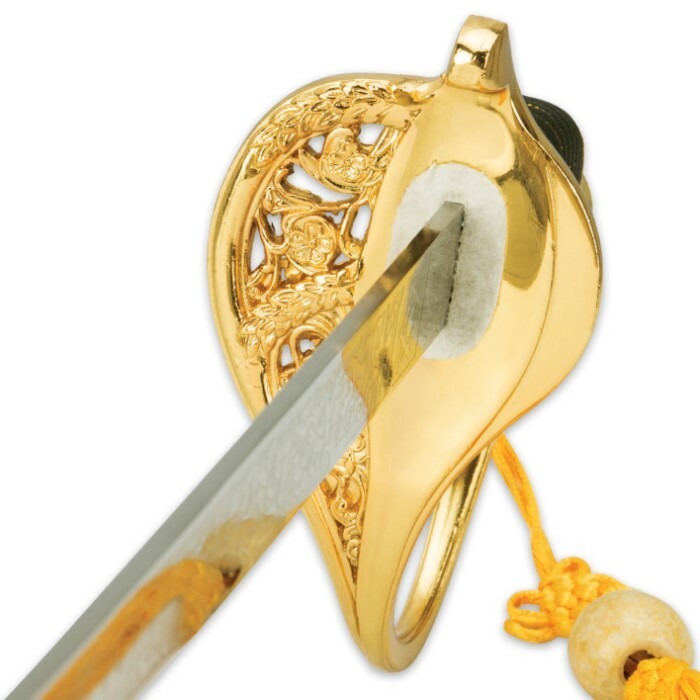 A removable, decorative tassel completes this piece. Measurements: 36 in. overall. "